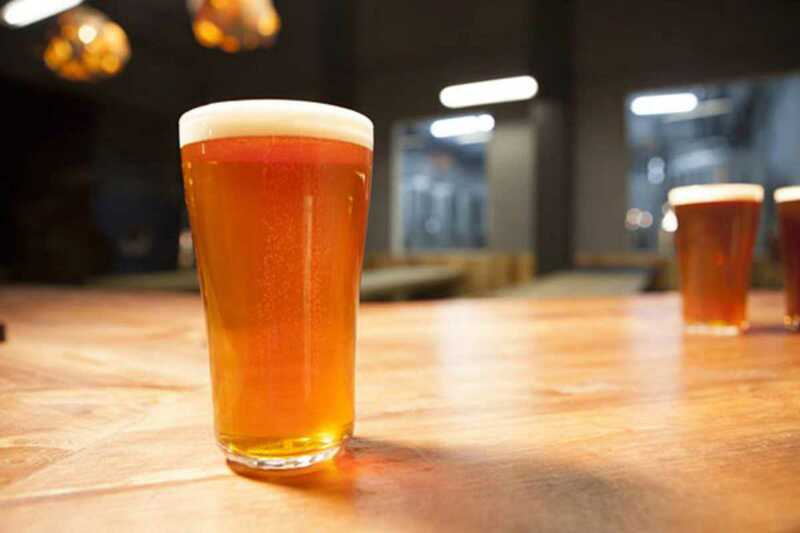 Edge Brewing opened their doors in 2014 and have been impressing ever since. The vibe fits firmly in the American craft beer tradition, the homeland of founders Scott and Alan and also the origin of their hops, which come especially refrigerated to their plant in Poblenou. Edge host a regular Friday open house with brewery tours (7:30pm & 8:30pm), invited food vendors and of course plenty of beer. The chalkboard lists the available brews, both from Edge as well as from other craft breweries. If you’re angling to become a regular, invest €20 in a 4-pint growler; refills range from €8 to €15. You can also refill your growler at various bars around the city. In February beer bible RateBeer recognized Edge as the Top New Brewer in the world (among 4,000 brewers) and the Edge Hoptimista IPA as one of the 50 best new beers in the world (among 60,000 new beers). We always did like the Hoptimista – a hop-rich, fantastically bitter IPA.